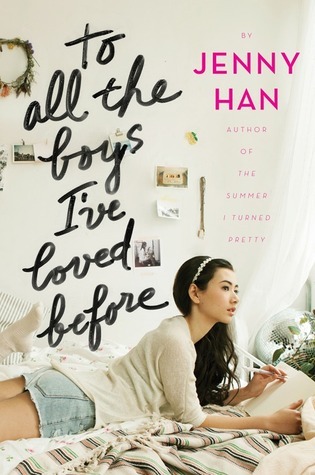 Summary (from Goodreads): To All the Boys I’ve Loved Before is the story of Lara Jean, who has never openly admitted her crushes, but instead wrote each boy a letter about how she felt, sealed it, and hid it in a box under her bed. But one day Lara Jean discovers that somehow her secret box of letters has been mailed, causing all her crushes from her past to confront her about the letters: her first kiss, the boy from summer camp, even her sister's ex-boyfriend, Josh. As she learns to deal with her past loves face to face, Lara Jean discovers that something good may come out of these letters after all. My Summary: Lara Jean is a girl who is perfectly happy with her life. She has two amazing sisters, a father who loves her, and her best friend Josh - who happens to be dating her older sister. Her life is quiet, happy, and full of love. But one thing Lara Jean doesn't have is a boyfriend. She's never been in a relationship, choosing instead to write letters to her crushes and never send them. By writing the letter, she is letting go of the person and allowing herself to move on. She's written five letters in total, and one of which was to Josh. So when the letters get sent out, Lara Jean is a world of trouble. Lara Jean thinks her life is over, but as she learns to speak her mind and tell those she cares about just how much they mean to her, she realizes that the best thing to come of the letters was the closure of them being read. My Thoughts: I really enjoyed the way that this novel's theme transitioned from romance to family. At first glance, it seems like it's going to be a predictable romance, but in reality it turns out to be so much more. Lara Jean's love for her sisters, her father, and her friend - even if she has a little bit trouble figuring out what kind of love she feels for him - made it easy to relate to her on every level. Who hasn't felt conflicted when it comes to looking out for everyone else's best interests over your own? I also really liked the supporting characters, and would definitely have liked to read/heard more from Josh and Margot's perspectives - especially about their relationship. The family aspect of the novel was so well done, and it was great to see a strong family bond present in a YA novel - the majority of them are decidedly lacking in happy families. The writing flowed smoothly, and the main character's voice felt very realistic. The plot was very character-driven, and the tone was perfectly suited to the subject matter. One last thing: can we just take a look at that cover? It's gorgeous! You definitely get a feel for the atmosphere of the novel just by looking at the cover. Final Thoughts: I recommend this novel to anyone who enjoys contemporary lit and romance, as well as anyone looking for a light read with some powerful messages. 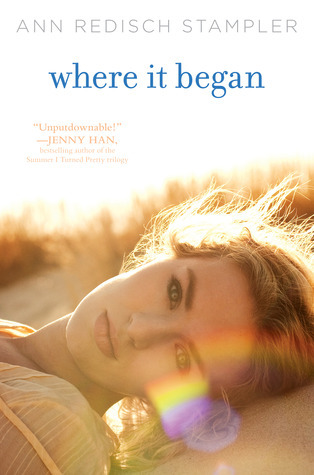 Summary (from Goodreads): Gabby Gardiner wakes up in a hospital bed looking like a cautionary ad for drunk driving and without a single memory of the accident that landed her there. But what she can recall, in frank and sardonic detail, is the year leading up to the crash. As she peels back the layers of her life, Gabby begins to realize that her climb up the status ladder has been as intoxicating as it has been morally complex...and that nothing about her life is what she has imagined it to be. My Summary: Gabby has been living a charmed life since her transformation over the summer from quirky artist to blond, perfectly tanned and made-up girlfriend of the most popular guy in school. Everything in her life seems to make sense when Billy's around, and Gabby is doing everything possible to ensure that he stays around. Until Gabby wakes up in the hospital, face indistinguishable and body broken. All the doctors will tell her is that she was involved in a car crash, and that she is lucky to be alive - but then why does she not remember the night leading up to the crash? And why would she wreck Billy's car? As Gabby struggles to put the pieces of her life back together, she discovers what it truly means to put someone else's interests before your own - and just how dangerous that can be. My Thoughts: This book was a fairly quick read, although the subject matter was anything but light. Gabby's struggles to figure out who was on her side and who was using her read like cautionary tale: if something seems too good to be true, it probably is. The characters were extremely realistic, although Gabby herself was a little hard to relate to at times. I did, however, enjoy how much the book made you think - would you cover for someone you loved, even if it could mean ruining your life in the process? And why do we put so much stock into relationships that we know aren't lasting or permanent? I also really liked that Stampler delved into how our parents' issues can sometimes affect how we see the world, and how their issues can become our own if we're not careful. Final Thoughts: I recommend this novel to anyone who enjoys contemporary YA.